The US Army Corps of Engineers has successfully launched their New Start Feasibility Study of the Portland metropolitan area levee system, and as they work through the initial scoping phase, they would like to engage community members in discussing the study process, upcoming milestones, and the preliminary alternatives being developed. During both meetings, a representative of the Corps will make some brief remarks around 6:00 p.m. and the Corps and Levee Ready Columbia will have staff on hand to discuss the various activities underway to inform decision-making around the modernization of the levees, including hydraulics and hydrology (flows and flood risk), geotechnical studies of the levees themselves, and the economic risk and consequences posed by various flooding scenarios, as well as the effects on natural and cultural resources of alternatives considered. Most importantly though, the Corps would like to hear the concerns and ideas of community members regarding the Columbia Corridor levee system and managed floodplain. We hope you will take advantage of this opportunity to come together as a community to provide input on the direction the Corps is heading as they work through the three-year federal feasibility study process, which will lead to a recommendation to Congress for federal investment in addressing the problem areas and vulnerabilities in our local levee and drainage system. Copyright © 2018 Multnomah County Drainage District, All rights reserved. You are receiving this email because you opted in on our website or requested to be included when we send out important information. 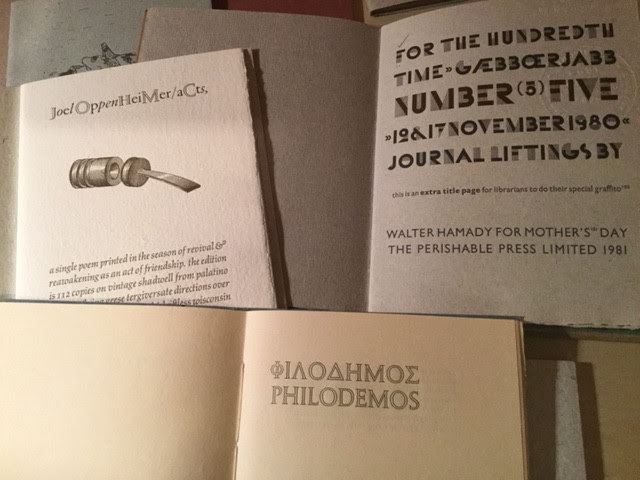 Type Jam: Walter Hamady & The Perishable Press, Ltd.
Kathy Kuehn and Barb Tetenbaum were both art students who studied with Walter Hamady at the University of Wisconsin-Madison in the late 1970’s/early 1980’s. They will share books from their personal collections and discuss what makes the Perishable Press Ltd stand out as one of the most admired private presses in the 20th century. Free and open to the public. Donations towards this programming are gladly accepted. Last Open Museum Hours of 2018!! The end of each year is always busy with special activities and visitors, so why not consider scheduling an outing to the C.C. Stern Type Foundry as part of your annual traditions? We have docents on hand to guide visitors through the experience, and welcome those with all levels of familiarity with type casting and printing. Printers, artists and other free spirits interested in letterpress printingare invited to join this discussion group. Meetings are hosted at the C.C. Stern Foundry on the second Saturday of each month from 10am to noon, and are followed by a short type & equipment swap. All are welcome. The 7th Codex Book Fair and Symposium will be held in February 2019. For a schedule of events and more information check the online schedule. This event is worth going to for the book fair alone, but the symposium and exhibit openings should be on your calendar as well. 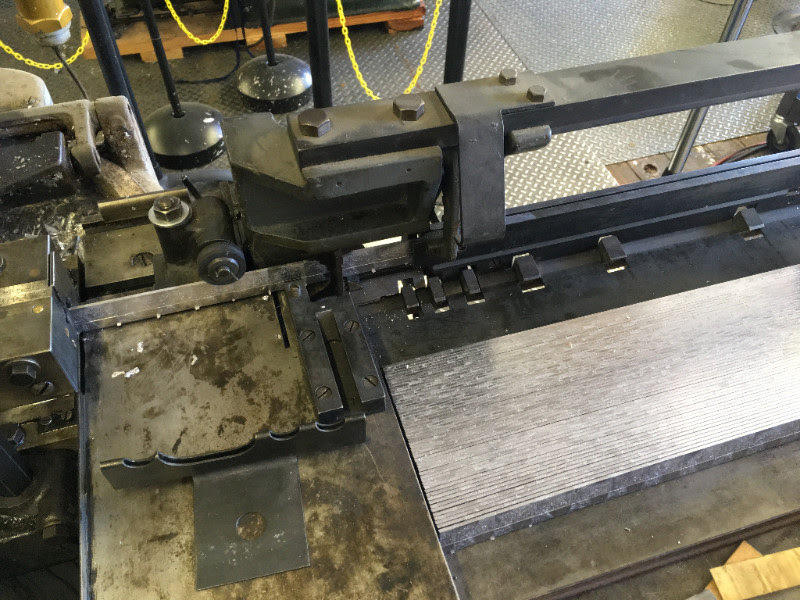 Plus you can plan your visit to tour M&H Type and Arion Press to coincide with this event! Copyright © 2018 C.C. Stern Type Foundry, All rights reserved.